Proalive is soil conditioner specially designed & developed for water and nutirent retention and its release in substrates and soils.It can absorb water of hundreds or three hundreds times of weight.It's nontoxic, harmless & biodegradable. As a remarkable entity of this domain, we are engaged in providing Super Absorbent Polymer. The offered product can absorb water of up to three hundred times of its weight which it releases to plants root as required. It increases plant available water holding capacity, aeration balance, and structure of soils. It promotes plant's growth resulting in larger, healthier plants and increases crop yields. Furthermore, we offer this absorbent agent to our valuable customers at industry leading price. Easy to use. Apply it to the root zone of plants then cover it with soil before watering. Increases water holding capacity and reduces irrigation frequency while saving water, money, time and labour. Improve the physical properties of soil through good aeration & maintain the constant temperature in the soil. It prevent leaching of valuable water and nutrients from soil and reduces the fertilizers requirement. Releases the fertilizers efficiency slowly. It is essentially neutral in PH and can work over wide range of PH. Lawns/golf Cours :15 TO30 GRAM/Per sq. Meter. Banking on our extensive industry experience we are a well versed name in offering a premium quality assortment of Water-Absorbent Polymer. 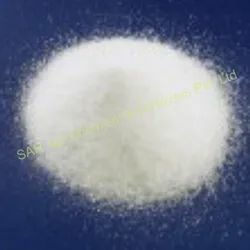 Also known as sodium and potassium polyacrylate, this product is especially composed for water absorption and water retention in soils located in regions subject to drought. Provided polymer is tested on several parameters of quality so as to ensure its effectiveness. Further, we offer this polymer to clients at affordable rates. 8.It is essentially neutral in PH and can work over wide range of PH.